Which did you find more appealing, the introduction or the conclusion? The conclusion. It was unexpected and at the same time intriguing. The complicated characters have their layers peeled off and readers are able to see them bare trying to cope with their respective losses. Colin and Karen are trying to cope with the death of their daughter and Sue is ‘celebrating’ the death of her husband, Eric. Why would you recommend or not recommend this book? I would highly recommend this book for anyone who is looking to read a mystery or suspense book. The characters are vivid and it was well-written, both ingredients for a fantastic read. Did the plot pull you in or did you feel you had to force yourself to read the book? 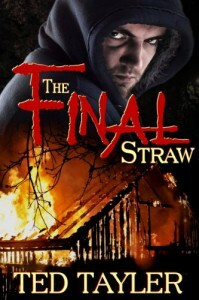 The Final Straw pulled me in and was great from the beginning. Despite Colin’s actions, I believe that this book touches real life issues of loss, dying and a sense of purpose.